If you want to travel light, the R-Pod trailer is for you! 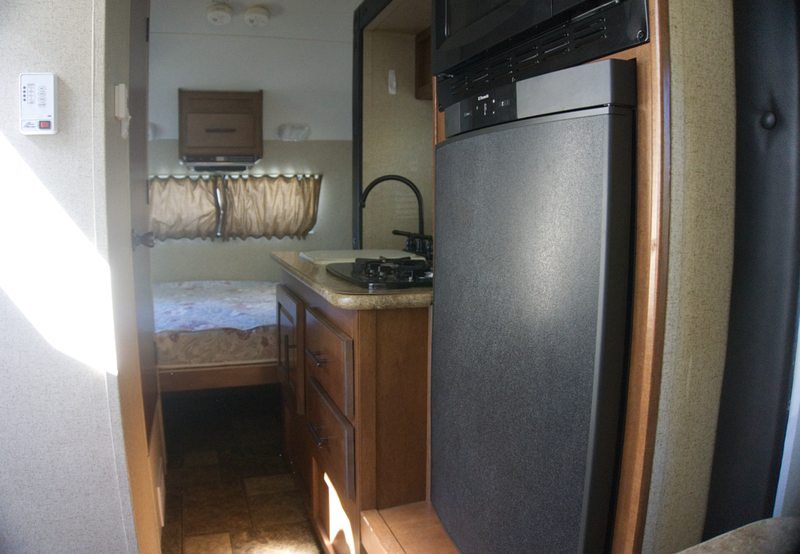 It sleeps up to 4 and allows you to spread out (while parked) with a slide out. 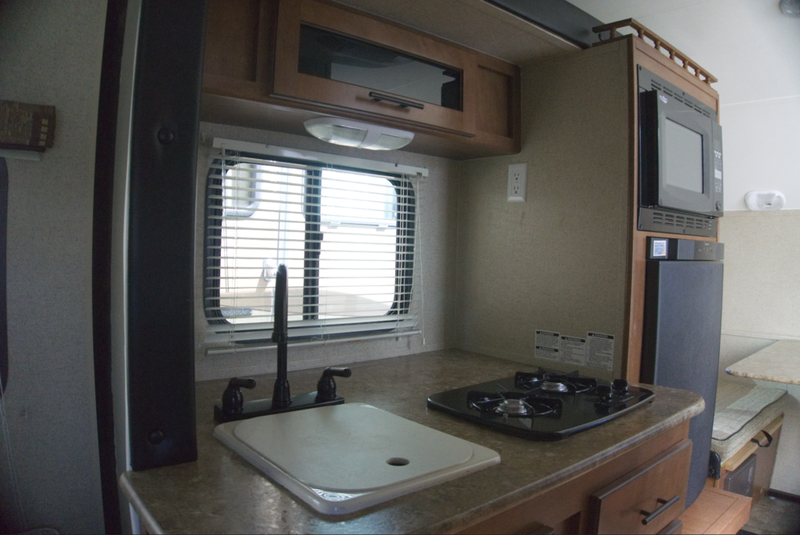 It comes with a queen bed, a dinette that converts into an additional sleeping area, refrigerator, stove top and wet bath.